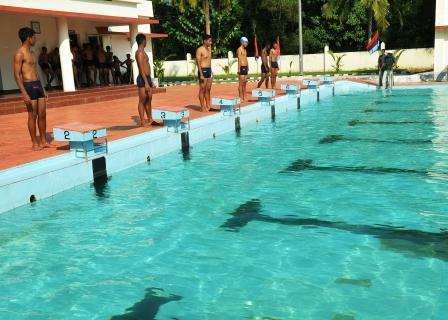 The School has almost all Sports facilities like indoor and outdoor games. 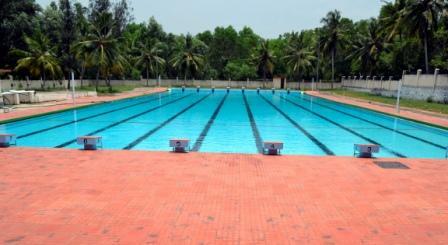 Along with eleven Play fields, the School has Basketball courts, Volleyball courts, Football courts, Hockey courts, Lawn tennis court, Boxing ring, Parade and POP ground etc. 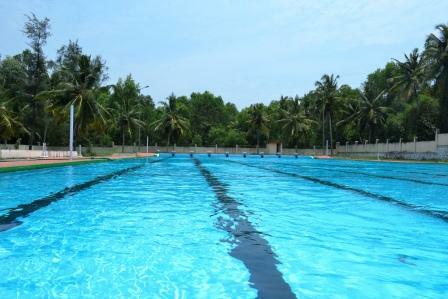 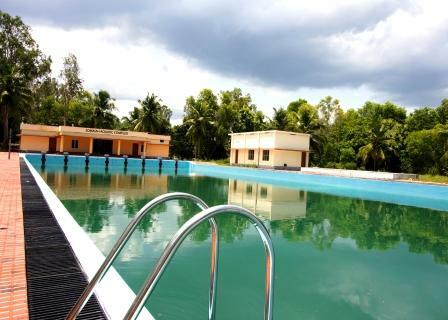 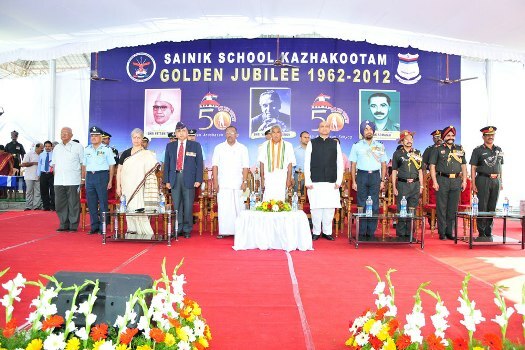 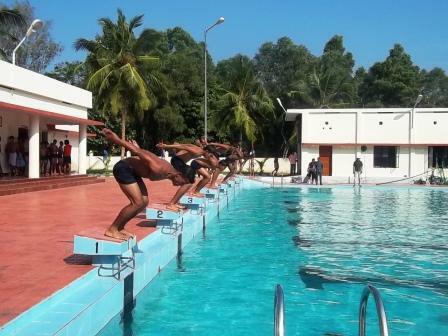 A Modern and well equipped swimming Pool of Olympic standard for the students was inaugurated during the Golden Jubilee year - 2011- by the Defence Minister Shri AK Antony and named 'Somaiah Aquatic Complex', the first Principal of Sainik School Kazhakootam. 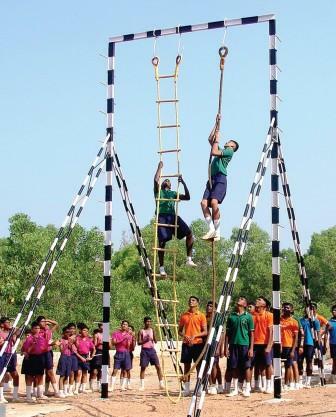 The School has a well equipped and furnished Multi Gym with required modern equipments. 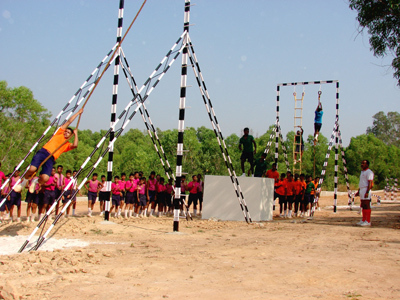 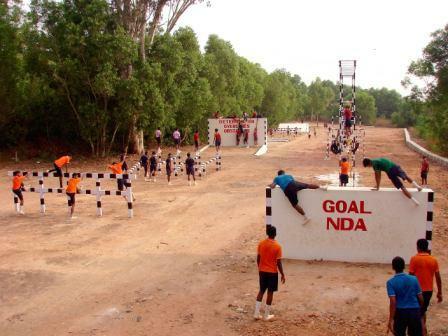 The School has Obstacle Course for SSB Training. 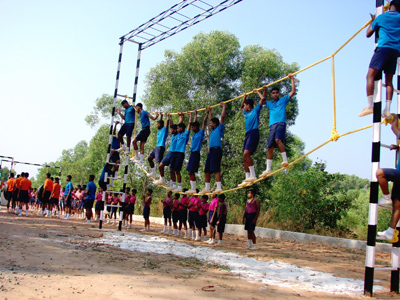 It makes them familiar with the obstacles and train them physically and mentally to face today's challenging world.